Ah, Macchu Picchu. Its very name is enough to evoke excitement in the minds of travelers around the world, but you really need to see it in person to fully understand why it will be the highlight of your trip to Peru. Nonetheless, before getting into the serious stuff, I’d like to try taking you there with words, even if it’s just for a second. Imagine the highest mountains you can think of, so high they rise above the clouds. Imagine them very narrow, wild and majestic. Now, picture yourself almost at the top of one of these tall and secluded mountains. You can hear the sound of a river that surrounds the valley, like a moat around a fortress. Beyond the river, there’s a foggy chain of other mountains that seems to never end. The air smells fresh, everything is lush and green. Around you there’s a big, ancient, Inca citadel. You can see it stretching far and wide, up to the edges of the mountains, looking right into the cliff. Streets, terraces, houses. Everything is made up by big, squared and perfectly smooth stones. How on earth did they even build all of this up here? While you’re contemplating the surroundings, a cutesy looking llama stops by and starts eating grass right in front of you. Suddenly, you feel this intimate connection with time, nature and civilization. It is one of those rare life moments when the world looks as glorious as it can be. 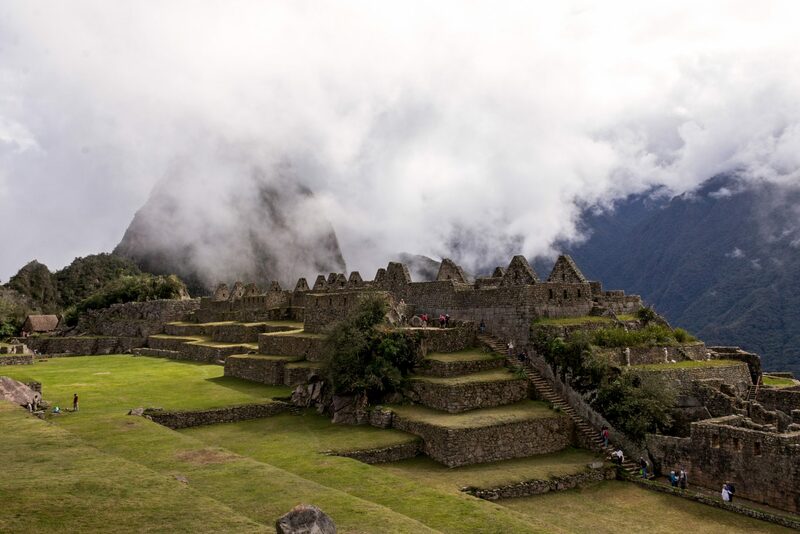 All this, and more, is what I hope you’ll experience while visiting Machu Picchu for the first time – the thrill of uncovering an incredible mystery that mankind decided to build in one of the most precious places on earth. If you’re intrigued – and it would be craycray not to be – grab a snack and read this full travel guide. I assure you that with all the right info, organizing THE trip of your life will be a piece of cake. 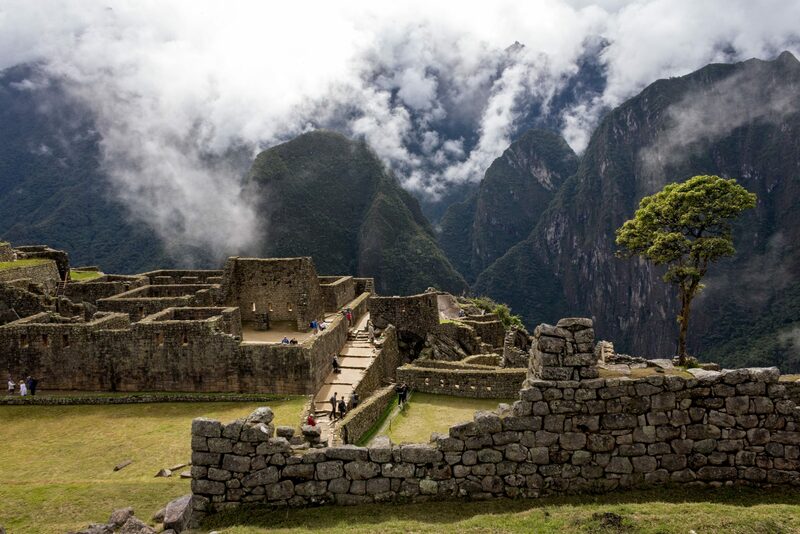 This guide will prepare you for visiting Machu Picchu as a 2-day trip from Cusco. If you’re a total badass and really wish to pee in the woods reach Machu Picchu through the 4-day Inka trail, I highly suggest this article right here. Following this 2-day itinerary, you will take the train from Cusco and reach the town of Aguas Calientes, which sits at the foot of the mountain where Machu Picchu stands. From Aguas Calientes, you will reach the entrance gate of Machu Picchu either by walking or with a bus. You most likely will want to rest and spend a night in Aguas Calientes before (or after) your Machu Picchu tour, but that’s really up to you. It is time to give that credit card of yours some time in the spotlight! You need to start booking and get your hands on the train tickets as early as possible. You can book them directly on the official Peru rail website, but notice that the train station is actually located in Poroy, a small village on the outskirts of Cusco and just a 20 minutes taxi ride from the city center. The Hiram Bingham train. This is a luxury train named after the cool guy who discovered Machu Picchu. On this train you will be able to enjoy a gourmet lunch and gorgeous view from a special observation car which features a balcony and a panoramic roof. If you’re Mr. Burns, Richie Rich or Scrooge McDuck, this is the train you should take. Why? Return tickets are sold for 650$ per person. Whatever you choose, the train ride takes a little under 4 hours, but time flies with such good views. The weight limit for luggage aboard ALL the trains is only 5kg, and big luggage in general is not allowed – you must keep it light ladies! You can leave your main luggage in storage at your hotel in Cusco and hop on the train with a handy backpack. Between January 2 and April 30, 2019, PeruRail operates the Bimodal Service (Bus + Train), combining bus and train travel. You will board a private bus at Wanchaq Station, 5 minutes away from Cusco’s historic center, and arrive to Ollantaytambo Station. From here, you will board the train and head to Machu Picchu. 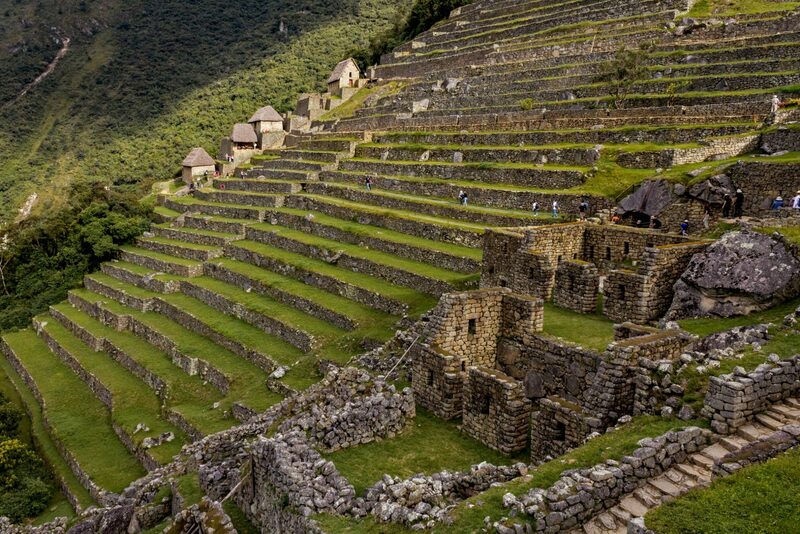 Machu Picchu tickets can only be bought on the official website of the Ministry of Culture. To be precise you can also buy them directly in Aguas Calientes, but I wouldn’t bet on it. “Only” 2,500 tickets are sold each day, and during high season they are often sold out. Machu Picchu Main Grounds ticket $47 USD (152 Soles). This ticket provides a regular entry to Machu Picchu. You will be able to check all the main ruins, terraces and temples. Machu Picchu & Montaña Machu Picchu ticket: $62 USD (200 Soles). 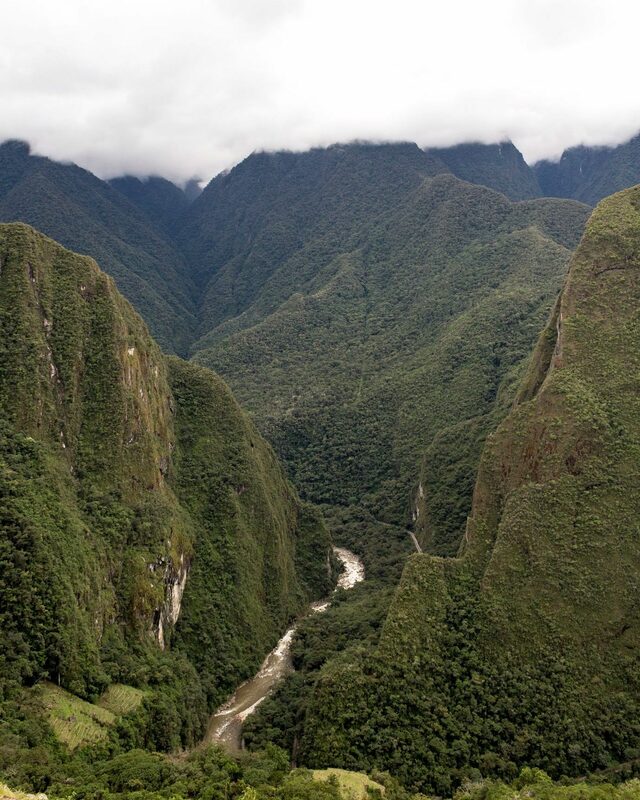 This ticket provides an extra entry to climb the taller mountain, Montaña Machu Picchu. Machu Picchu & Huayna Picchu ticket: $62 USD (200 Soles). This provides an extra entry to the shorter mountain peak, Huayna Picchu (2,720m). Select la hora de ingreso. 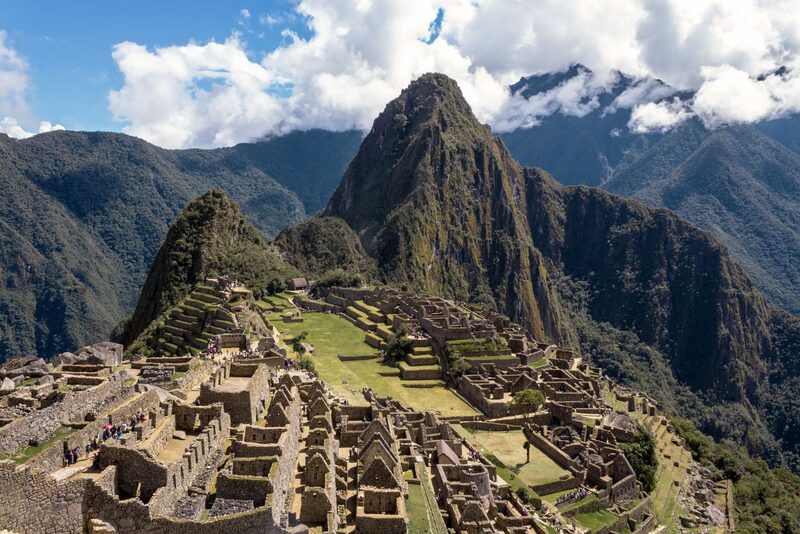 From January 1 2019, Machu Picchu can no longer be visited either in the morning or in the afternoon. There are precisely 9 different entry schedules, from 6 am to 2 pm, and you must choose one at the time of booking. You have exactly 1 hour to reach the entrance after your chosen schedule starts and then you can stay inside the site for 4 hours (or 6 if you’re planning on hiking the surrounding mountains). For example, if you choose the 7 am schedule, you must enter between 7 am and 8 am, and therefore leave the site between 11 am and 12 am. Fill in your personal details and generate la reserva (reservation). Once you’re done, select the check-in tab on the main panel – it’ll take you to a new page where you can past your reservation code and make the final payment. 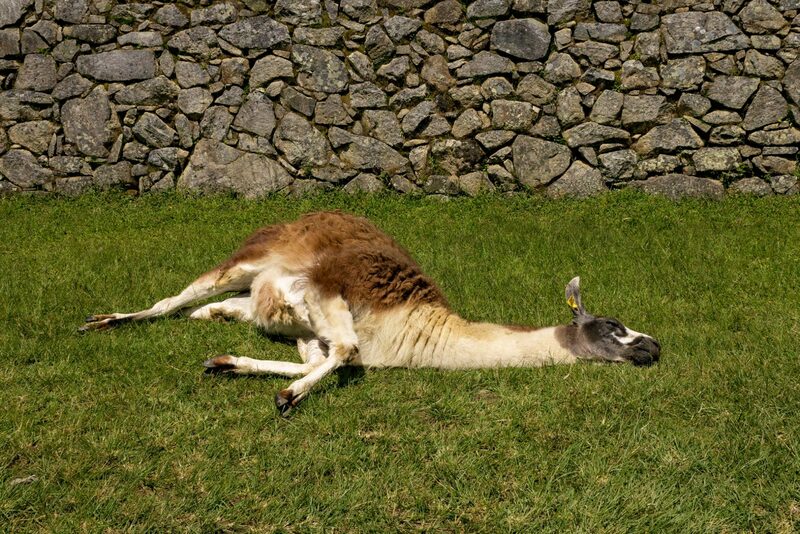 Machu Picchu residents like this sleeping beauty right here don’t have to pay for entrance – lucky guys! To be completely honest, I found Aguas Calientes pretty meh. I guess it is as touristic and charmless as one would expect, and there isn’t really much to do around here besides strolling around. Silver lining? You’ll have plenty of free time to stuff your face with delish food all day long. In this small tourist town you will also find plenty of hotel options for all budgets. I stayed at the Casa del Sol and had an amazing time – being lulled to sleep by the rush of the Inca river right outside the huge glass window was flipping awesome. 2 – GETTING FROM AGUAS TO MACHU PICCHU: TO BUS OR NOT TO BUS? As I mentioned earlier, unless you’re staying at the Machu Picchu Sanctuary Lodge, once in Aguas Calientes there is still some way to go before reaching Machu Picchu. You can either go for a walk, which will take about 1 hour and 30 minutes, or take the bus, which will take only 20 minutes . Buses from the Aguas Calientes terminal operate from 5.30AM to 3.30PM going up and between 6AM to 5.30 PM going down, departing every 10 minutes from Avenida Hermanos Ayar, just outside the market of “Machu Picchu Pueblo”. Round-trip price for adults is $34. You can purchase your tickets online at peruways.com/aguascalientes-bus/ or directly in Aguas Calientes, but keep in mind that queues are VERY EFFING LONG, especially during the high season. Well, now the fun part starts! About freaking time. Once you’ve reached the top of the mountain, the first thing you’ll want to do before proceeding to the entrance gate is hiring a guide. Since July 2017 it is no longer possible to visit Machu Picchu without an official guide. To be honest it makes total sense, as a well knowledge guide is crucial to understand what you’re seeing as well as the history behind this citadel. Guides can be found at the entrance gate to Machu Picchu and can be contracted on the spot. The price depends on how many people are in the group, but as a general rule of thumb, for a 2 ½ hour guided tour, 2 people pay around 140 Soles (US$ 50). If the group is large then you will definitely get a better price. Tourists who visits Machu Picchu with a guide and then return to the Inca site the next shift or the next day, may do so without the tourist guide. All you have to do is show the previous ticket and indicate the name of the guide that accompanied you. The guide service is not mandatory for people who make the tour of the Huayna Picchu or Machu Picchu mountain. After hiring your guide, you can directly proceed to the entrance gate (DO NOT FORGET YOUR PASSPORT!) 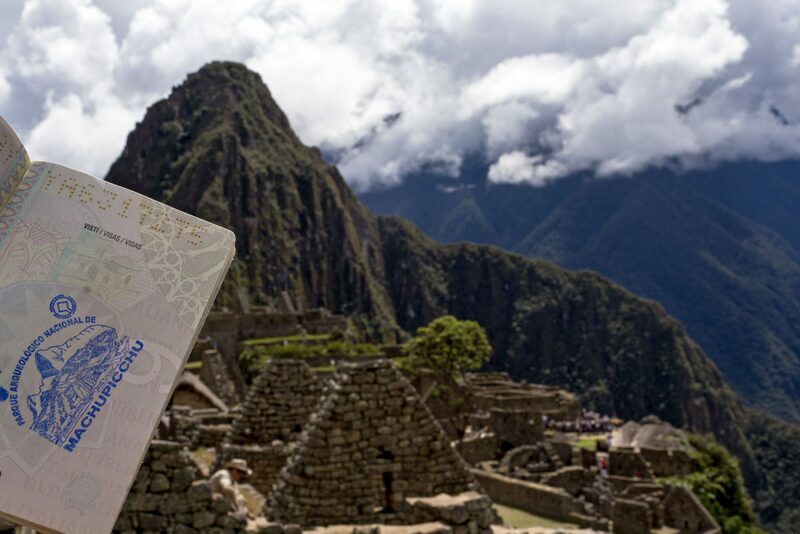 or make a 5 minutes detour to get a Machu Picchu stamp added to your passport. There’s no reason to do it really, it’s just cool. During your visit, listen to your guide’s in-depth commentary on the history of the Incas. He will probably show you the temples of the Condor and the sun, the aqueducts, and the most important houses. Once the tour ends, you can enjoy some free time to explore the site on your own or take a 1-hour trek to the Sun Gate. If possible, stay for longer. 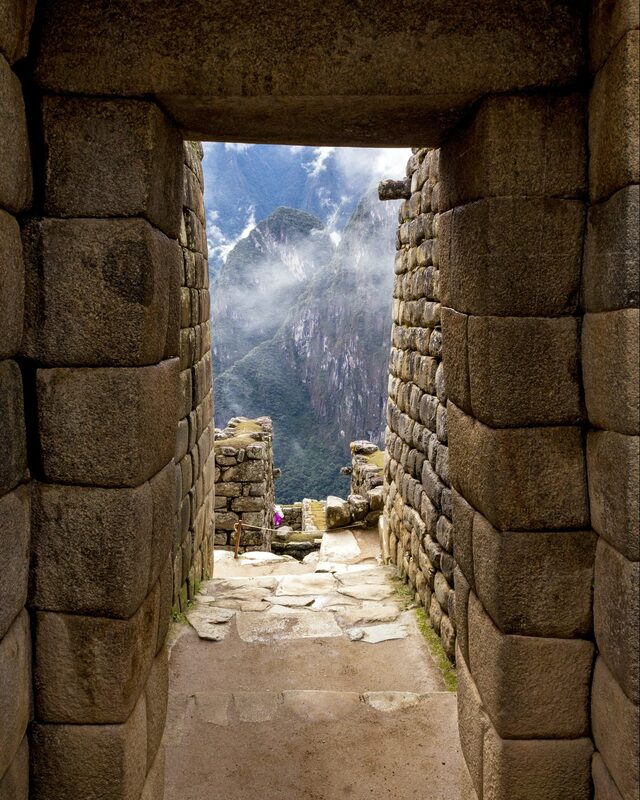 Get yourself a book on the Incan Empire, find somewhere quiet in the ruins, sit down and start taking in the view. Trust me, it’ll be the best part. 4.1 – MORNING VS AFTERNOON VISIT: HOW TO BEAT THE DAMN CROWDS? The citadel is very crowded, so much that people start to line up for the bus as early as 4am. You’ll have the opportunity to glimpse the sunset in Machu Picchu. Now it’s up to you too choose! 4.2 – WHAT TO WEAR TO VISIT MACHU PICCHU? Don’t worry though because Machu Picchu is not that hard to get around, you’ll be fine. 4.3 – HOW MUCH DOES IT COSTS TO VISIT MACHU PICCHU? Generally speaking, Peru ain’t cheap, but obviously the overall cost will depend on your travel style. Keep in mind that the price for hiking the classic 4-day Inca trail is around $600. Yikes! 4.4 – IS IT WORTH IT? Machu Picchu was more than I had even imagined, which for me is saying A LOT. I really appreciated learning all about Inca history, legends and construction techniques just as much as I appreciated roaming around in complete serenity and getting lost in my own thoughts. But even though, overall, I spent 10 hours visiting this site, I felt like it was not enough. It is that good. And I was sincerely the happiest I had been in a long time. I mean, yes, the site is obviously full of tourists, you cannot possibly expect to be alone in a place like this, but the citadel is so big that you won’t even mind. Moreover, it’s packed with llamas, and llamas >>> hoomans. 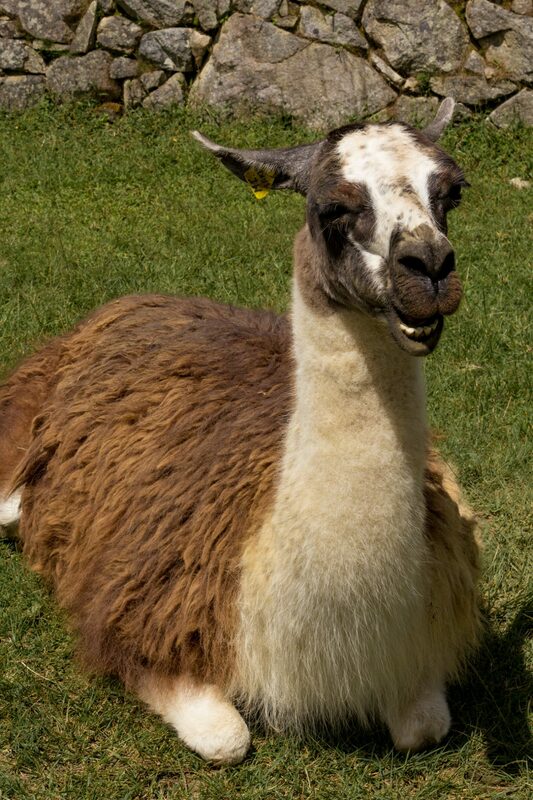 Do you love llamas as much as I do? Please say yes.